Terrie Hull thought things might not be normal with her mother….she’d been in a serious car accident and her cognitive skills weren’t coming back as quickly as they’d hoped. 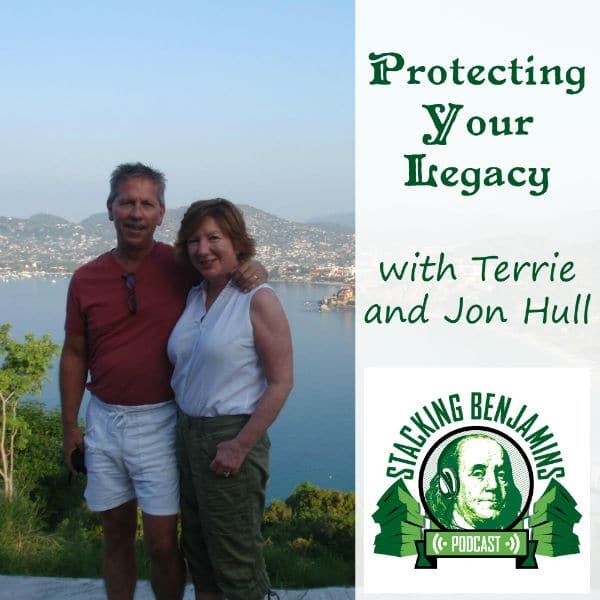 Unfortunately, what unraveled from that point was far worse than Terrie or her husband Jon could have imagined….and MUCH worse than just memory problems for her mother. They’ll share their story of A Legacy Undone on today’s show that will make you ask yourself, “Is your end-of-life care” as thoroughly finished as it should be? Suzanne Lucas, the Evil HR Lady, shares what they’ll find in an employment background check. Will they discover that you sleep in a race car bed and love frisbee golf? She’ll crack this wide open! Joe & OG answer a listener letter about CDs and another about the Total Market Index. We also discuss headlines about the biggest risk to your retirement nest egg and more…. Plus trivia, movies…and general hilarity. Letter from Jason – Why not just put all of your money in a Total Market ETF?